This Columbus Day Weekend, The Boston Conservatory is offering the opportunity to introduce your children to opera in a way they’ll truly enjoy, for free! For the second time this year, The Conservatory is presenting the children’s opera Mooch the Messy. The show is specifically recommended for preschool and elementary school-aged children. 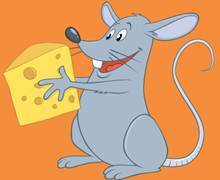 It’s based on the 1979 book by Marjorie Weinman Sharmat and tells the story of Mooch, a rat from Boston, who learns about neatness and responsibility when his father comes for a visit. He also learns to be himself in a delightful mix of humor, music and fun. You can see Mooch the Messy Saturday, October 12th at 12 p.m. or 2 p.m. at The Boston Conservatory’s newly renovated Seully Hall, located at 8 The Fenway in Boston. You can also catch special showings on Monday, October 14th (Columbus Day) at the Boston Children’s Museum at 11 a.m. or 12 p.m. The Conservatory show is free; and the museum show is free with the purchase of admission. The Boston Conservatory trains exceptional, young performing artists for careers that enrich and transform the human experience. Known for its intimate and supportive multi-disciplinary environment, The Boston Conservatory offers fully accredited graduate and undergraduate programs in music, dance and musical theater, and presents more than 200 performances each year by students, faculty and guest artists. Since its founding in 1867, The Boston Conservatory has shared its talent and creativity with the city of Boston, the region and the nation, and continues to grow today as a vibrant community of artists and educators. For more information, visit us here. This is a great way to get children involved in the opera arts. Amazing idea and event. Thanks for sharing.